..PLUS...I know it's something you've always wanted to learn... BONUS!!! 5 days...5 projects...you won't want to miss this!!! 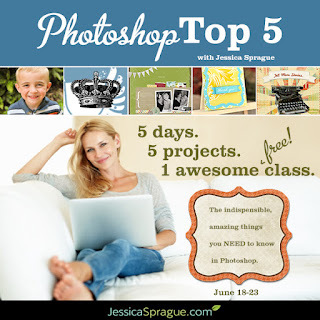 Photoshop Top 5 with Jessica Sprague...class begins June 18-23...this will be 1 awesome class you won't want to miss!